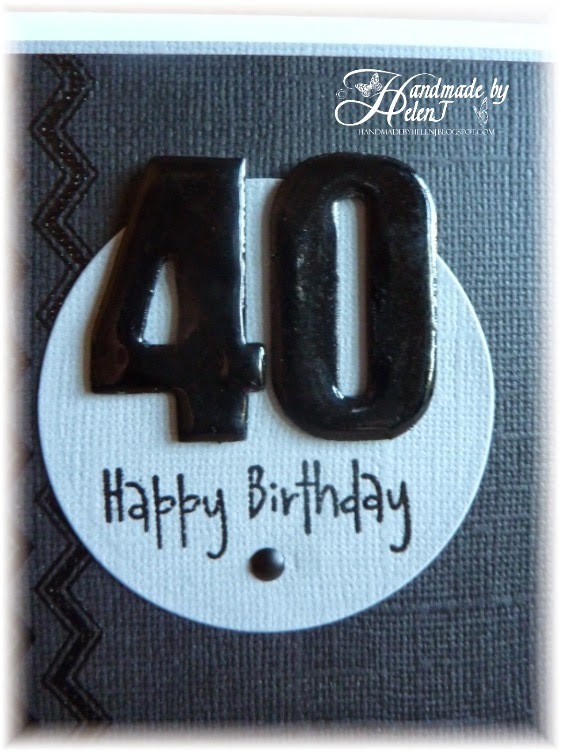 Oh No the Big 40! 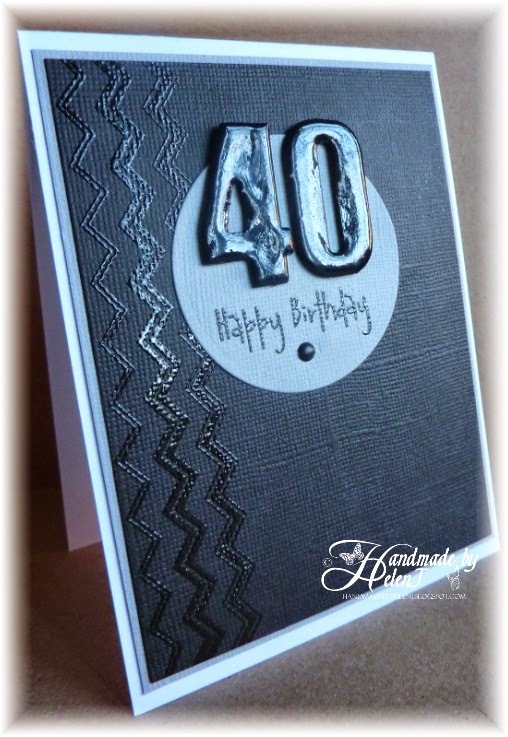 The zigzags are from the Chevron set of stamps by Uniko Studio, stamped in Versamark then embossed in Wow Detail Clear embossing powder. The greeting, a long-retired stamp by Elzybells, was treated in a similar way. There seemed to be too big a gap under the greeting so I filled it with a plain black brad. 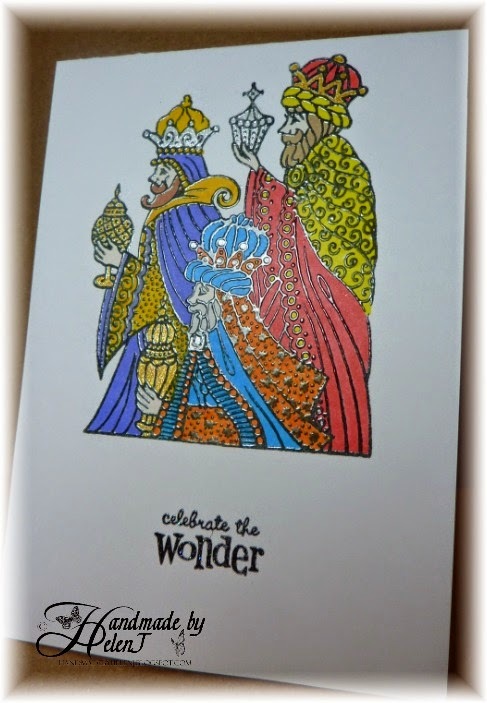 I stamped it in VersaColor Charcoal then embossed it with clear embossing powder to make the colouring easier. I used lots of different Promarker colours & finished off with gold & silver gel pens for some of the details. I finished off with a Penny Black stamp (free with a magazine) embossed with Wow Neutral Ultra Shimmer Embossing Glitter. 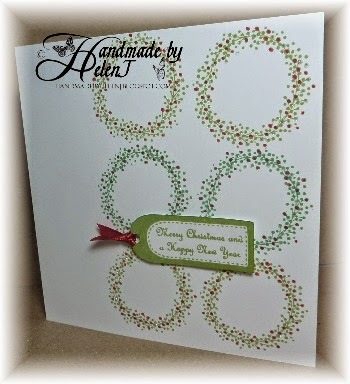 I’m going to make this my second entry for the Christmas challenge over at Less is More. 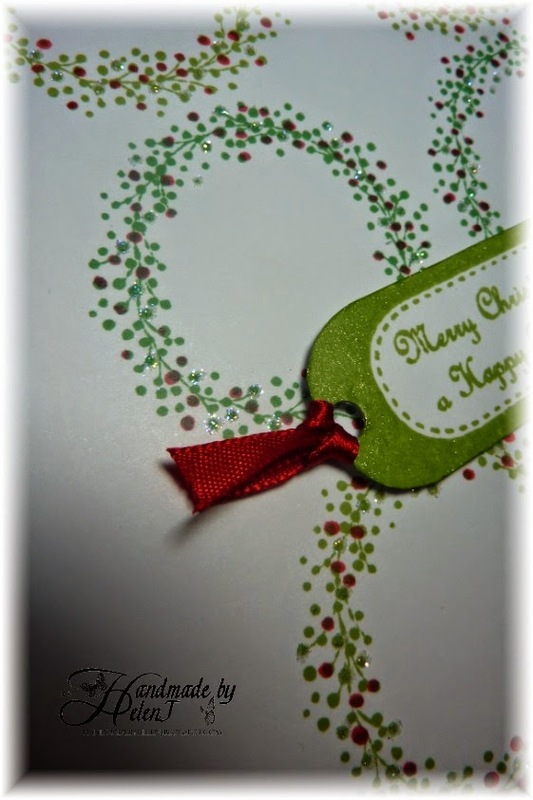 The wreath stamp by Penny Black was free with a magazine & I stamped it in Memento Cottage Ivy & Bamboo Leaves. Then I picked out some of the “leaves” in red Copic marker to make them look like berries and used a Quickie glue pen to pick out a few more, sprinkling on some Crystal Glamour Dust. I’m also going to enter this into this week’s challenge over at Less is More where the theme is Jingle all the Way!, i.e. anything Christmassy. The challenge over at Less is More this week is “More Than One Tree”; I didn’t count how many are on here but there’s definitely more than one! 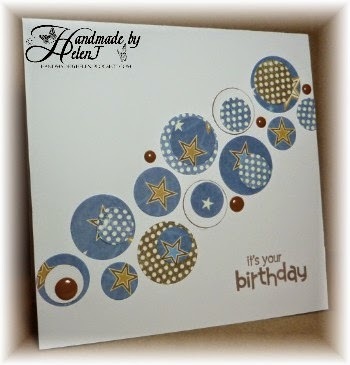 The starting point for this card was the sketch over at Addicted to CAS and a very old set of stamps by Woodware, coloured with Promarkers. The finished result looked a bit flat & boring so I added a touch of Wink of Stella to the red and the stars, which you can just about see in the photo below. The card was still flat & boring so I finished off with a gold edge to the image & greeting, which were both popped up on foam squares. Well, okay, not actually an ode, I don’t do poetry! 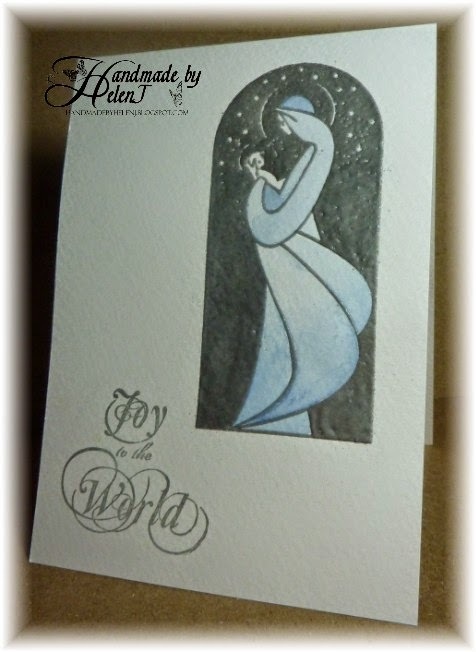 This is more of an “homage to joy”: Joy Taylor over at Simple by Design where I saw this stunning card with a video of how it was made. I’m never comfortable copying ideas exactly so I decided to combine it with the All Things Metallic challenge over at Virginia’s View. 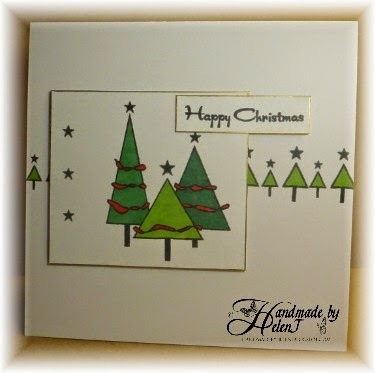 I’m also entering this into the Festive challenge at CASology and the Shine challenge over at Inkspirational. 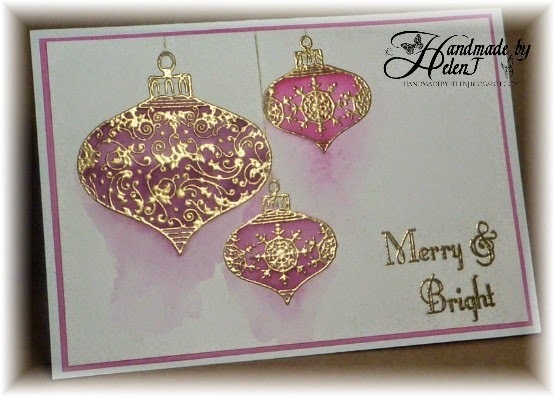 I began by stamping some Spellbinders Heirloom Ornaments stamps (free from a magazine last year) onto Crafter’s Companion watercolour card using Versamark ink. I then embossed with some old Heat It Up! gold embossing powder. 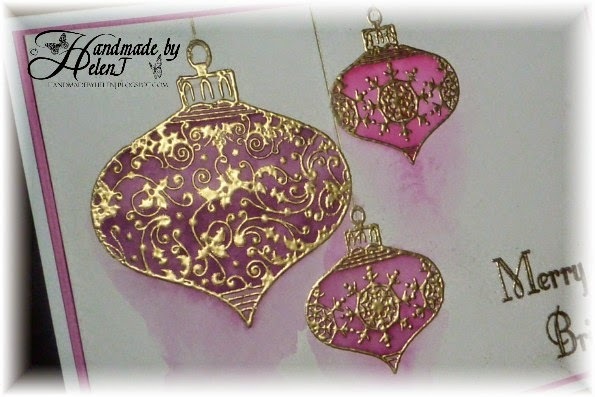 Using similar techniques to those Joy used I watercoloured the images with Seedless Preserves & Picked Raspberry Distress Inks, the bottom one of the two smaller ornaments being a mix of both inks together. 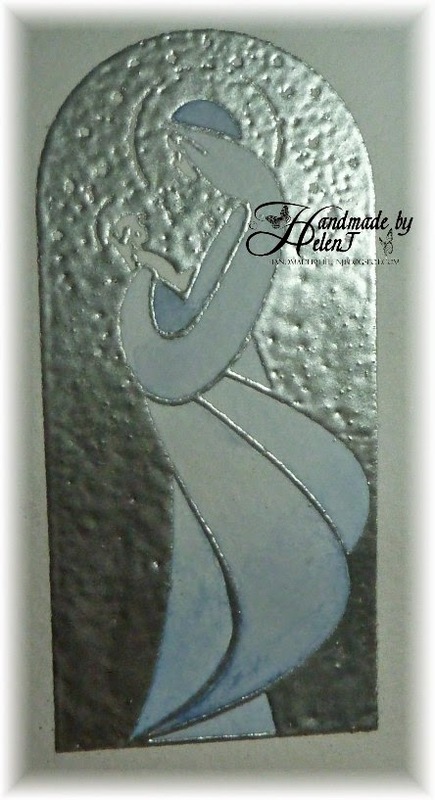 I stamped the image – by IndigoBlu – onto watercolour paper in VersaMark then embossed it with silver embossing powder. 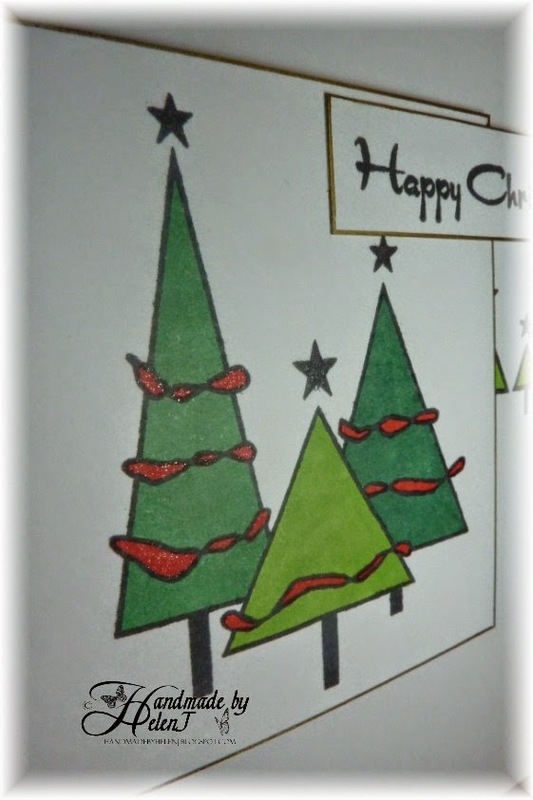 The “tooth” in the paper meant that it didn’t emboss too well so I used a Versamark pen in the gaps repeatedly, re-embossing until I was reasonably happy with the finished effect and the only gaps left were the stars which were meant to be there! Colouring was a simple matter of watercolouring with Aquamarkers. 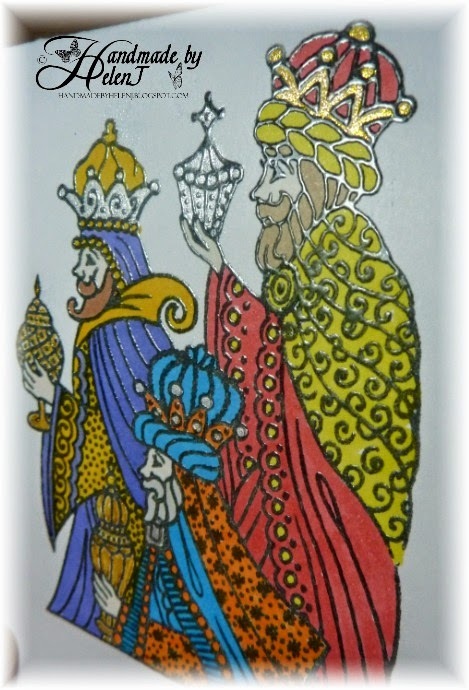 The greeting (by IndigoBlu again) was stamped in silver Versacolor ink. 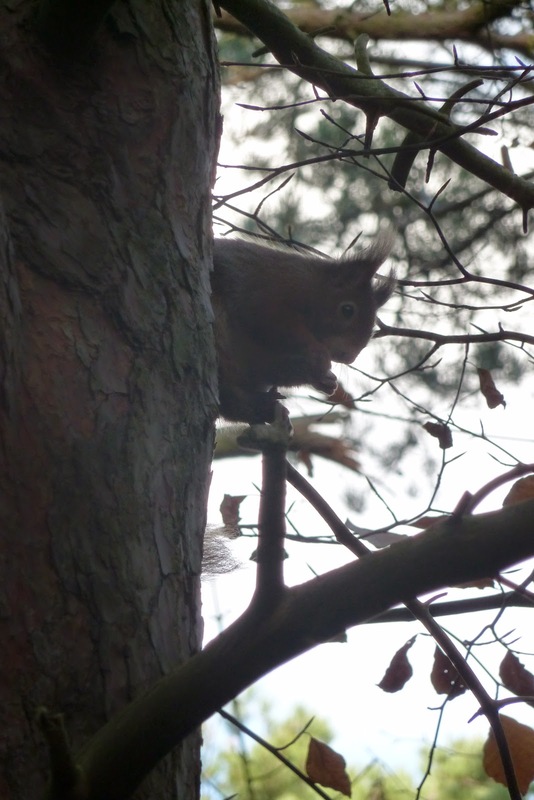 The photo below isn’t too good but it’s the best I could do in artificial light! 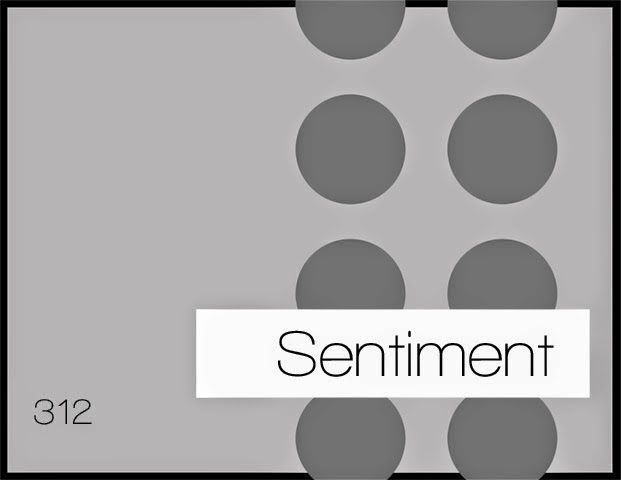 For the third time in recent weeks this card took 3 attempts to get right, despite it’s simplicity! It’s based on the sketch at Sketch Saturday and I decided this would be a good way of using up patterned papers, which I have far too many of! The paper is quite old & I think it’s by Docrafts. 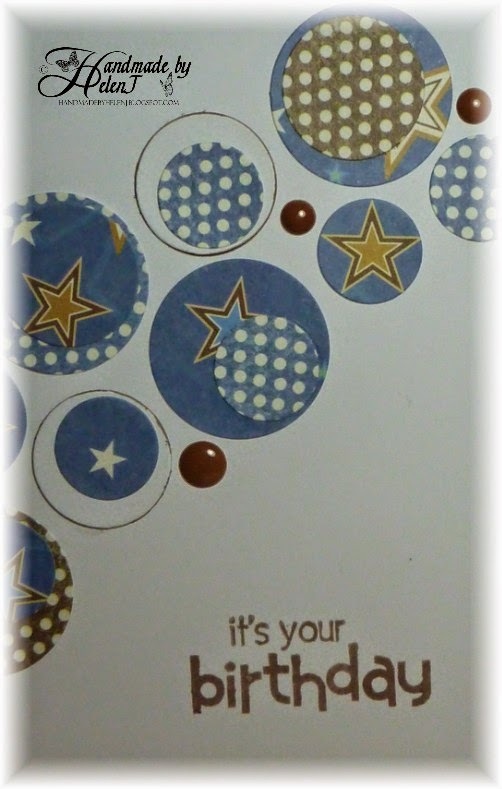 The greeting by Penny Black is stamped in Memento Rich Cocoa & I added a few Doodlebug Sprinkles to add a little dimension & finish the card off.